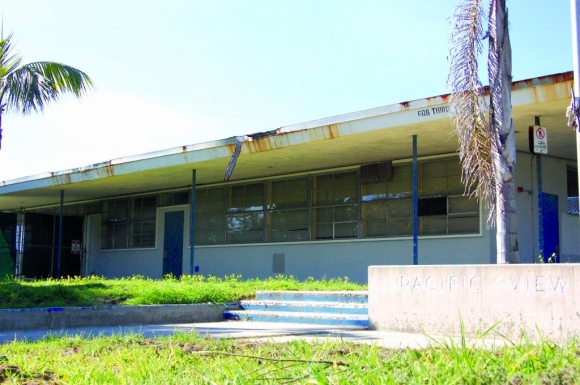 ENCINITAS — A divided city council voted to finalize a purchase agreement to buy the Pacific View Elementary School site from the Encinitas Union School District for $10 million. The council voted 3-2 on the purchase agreement with Kristin Gaspar and Mark Muir voting against the deal, reiterating their objections to the purchase price and debt financing needed to pay for the site. According to the purchase agreement, the city can’t sell the property for 10 years and both parties can terminate the agreement if the city can’t find financing. The historic schoolhouse must also remain on the site, according to the agreement. Garth Murphy, a self-proclaimed fiscal conservative, said he believed the purchase is fiscally conservative because it would benefit both the city and school district. However, he believes whatever the city uses the property for needs to make money. Local activist, Al Rodbell, however, opposed the purchase agreement because the city has not considered some of the other issues associated with the proposals for the land, including a traffic and parking study as well as the future cost of whatever the property will be used for. Additionally, Rodbell said the city was rushing without examining the contract’s details, such as what grade bonds the city should accept.